The Counterstrain suite of organizations, established by Brian Tuckey, PT, OCS, JSCCI and Timothy Hodges, LMT, JSCCI, CACI, has evolved from individual clinics and additional Fascial Counterstrain training into a cohesive and expanding Counterstrain brand. 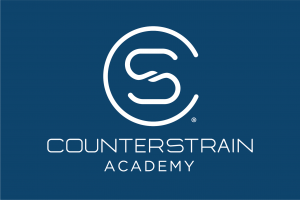 The Counterstrain Academy began in 2005 as a one-on-one mentoring of new, passionate Fascial Counterstrain Practitioners. It was formalized in 2011 as the program began to attract multiple practitioners and regional recognition as an authority in Fascial Counterstrain Continuing Education. In 2012 Timothy Hodges partnered with Brian Tuckey and they officially established the entity through the creation of the CS-Mastery Program. Since then it has grown considerably and Academy Mastery Programs are now run throughout the country. 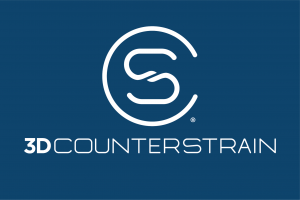 3D Counterstrain is a technology company in healthcare continuing education founded by Brian Tuckey, PT, OCS, JSCCI and Timothy Hodges, LMT, JSCCI. It blends all of the intellectual property from the Fascial Counterstrain series of courses with a cutting edge 3D model of human anatomy. Multiple layers have been included to improve the ability of users to see the many tender point locations, individual systems and the relationships of the several hundred TP locations to various bony landmarks. Counterstrain Portland and Counterstrain Frederick are the only CS branded clinics currently in existence. The CS clinic brand represents the highest level of clinical application of Fascial Counterstrain available as this brand designation applies to the founder of the technique and what is necessary to achieve the standards he has established. Therapists associated with Counterstrain Clinic™ branding are capable of implementing the Counterstrain technique in all of the various fascial systems identified and mapped by Brian Tuckey, PT, OCS, JSCCI.